RKV 125 E4 - Keeway Q.J. 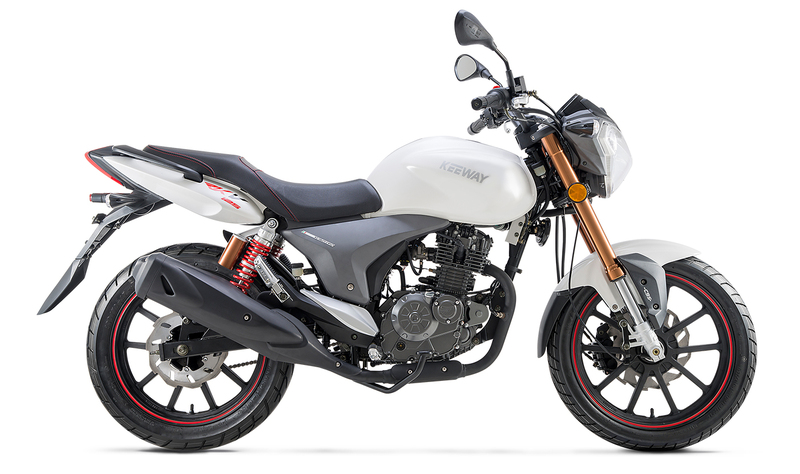 If you're looking for a 125-class hot rod with eye-catching naked-bike looks and surprising performance, Keeway’s RKV 125 E4 is your bike. 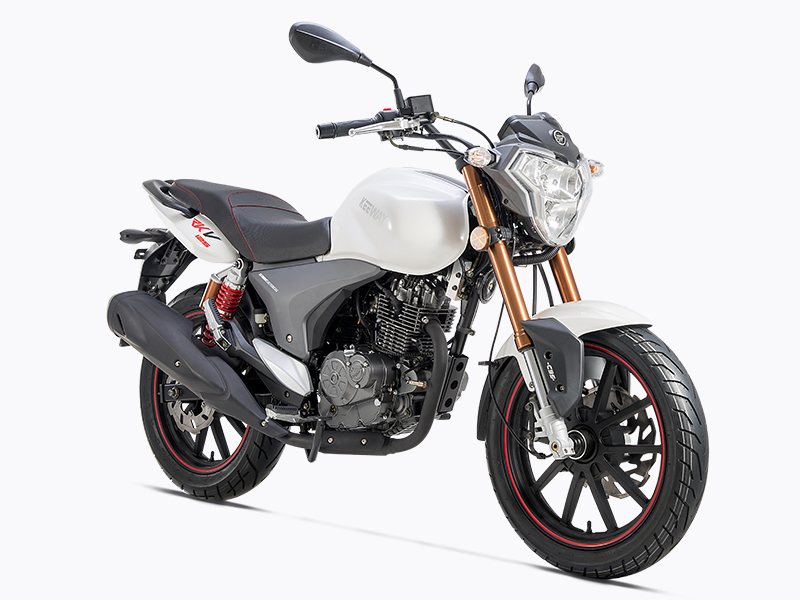 Outfitted with a long list of sporty performance items, including reservoir-equipped rear shocks, a race-spec inverted fork, powerful dual disc brakes with slash-cut rotors, sensuous bodywork and multi-function digital instrumentation, the RKV 125 E4 offers true naked big-bike function and style without breaking the bank. With comfortable ergonomics, two-up capability and low vibration levels, the RKV can handle a weekend tour as well as it can zip you through city on the way to work or shopping. And when it comes time to play on curvy backroads, it’s a serious performer. With so much all-around performance and style, the RKV 125 E4 gives riders a ton of motorcycle for the money. And that’s a good thing. 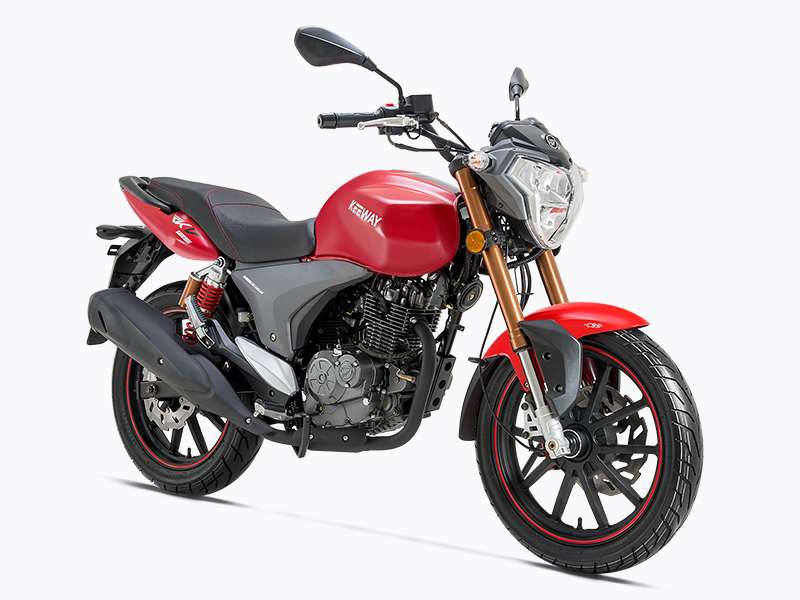 The RKV 125’s air-cooled, single-overhead-cam four-stroke engine is both reliable and powerful, and pumps out plenty of smooth, usable power – ideal for sport riding, commuting or touring. A racing-type inverted fork and piggyback-reservoir rear shocks provide superb ride comfort and chassis control – the perfect combination for riders who use their bikes in a variety of ways. Lightweight and strong 17-inch cast alloy wheels are fitted to both ends of the RKV 125, while disc brakes front and rear provide strong, confident braking at all times. An upright riding position with plenty of seat-to-peg distance and a well-shaped handlebar ensure a high degree of riding comfort for riders and passengers. *Keeway QJ reserves the right to change technical specification, equipment, set up and colors without prior notice.